On The Daily Circuit Thursday, we're talking about brains. We've got three pieces of new research looking at how the brain works and how it changes due to life events. A recent study from Yale University shows stress is affecting our health even more drastically than once imagined. Researchers have found that the hormones released during stress cause our brain to shrink. 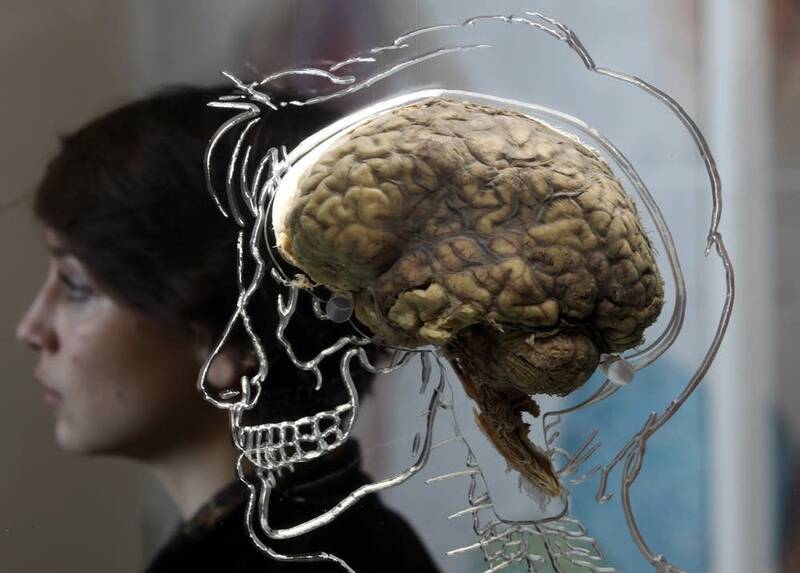 Dr. Apostolos Georgopoulos, director of the University of Minnesota's VA Brain Science Center, explains that we now know that the brain is constantly changing in size and that a smaller brain may not actually be a bad thing. Scientists have long known that bees work collectively, but they've just now discovered that every decision in the hive requires a long debate between all the members of the colony - a debate that involves dozens of bees headbutting one another until they reach a consensus. Even more surprising is that scientists now know our brains work in a similar fashion -shutting down hundreds of possibilities every time we make a decision. Jason Castro of Scientific American said there is a deep parallel between our brains and bee hives. "Like a beehive, the brain is made of many different sections," he said. "Each section of the brain represents different kinds of decisions and motives and they work to inhibit one another to come to a final decision. It's universal in any kind of decision making system; there are a lot of elements in play." Castro joins The Daily Circuit to explain how our hive mind works, and how this explains our decision making process. Scientists have recently discovered that parts of our DNA -- long thought to be permanently in place -- jump around in our brain, turning on previously dormant genes and triggering new traits and behaviors even in closely related individuals. These jumping genes can help us adapt to new situations, but the randomness of the movement can also have unintended negative side effects. The findings were published in a Scientific American article last month. Gary Stix, senior editor at Scientific American, said jumping genes occur all the time, primarily in the womb. "What this paper in Scientific American points out is that we now know it's happening in adults as well - that differentiation allows adaptation to occur over time, even as we age," he said. "What could happen with twins, for instance, is that from a genetic standpoint twins are almost genetically similar, but if they get into different environments that may cause a particular gene to be expressed for one twin and not another." Stix will join The Daily Circuit to discuss the findings.